Games today announced a partnership with Italian developer Kunos Simulazioni to publish the current generation console versions of Assetto Corsa, the highly acclaimed racing game. Currently available on Steam, Assetto Corsa is regarded as one of the most authentic racing simulators on the market. 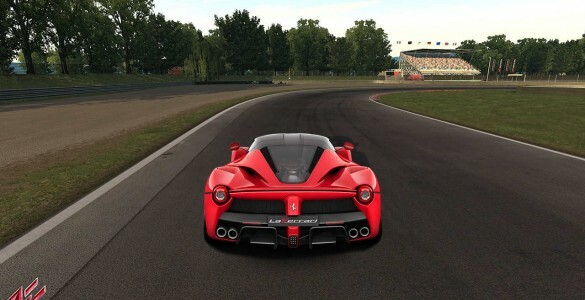 Aptly branded “Your Racing Simulator,” Assetto Corsa ups the simulation stakes by emphasizing and focusing on pure physics realism, with precision accuracy across every aspect from the meticulousness car handling to the laser-measured tracks. The standout stars of the game are of course the cars themselves; Assetto Corsa has partnered with the most prestigious automotive manufacturers to license life-like models of the genre’s biggest stars, from Ferrari to Fiat, from McLaren to Mercedes, and Lamborghini to Lotus. Players are able to further deepen their playing experience by adjusting the handling and race set-up of each and every car in-game, whereby cars can be individually tuned to cater for your personal racing style. The overall racing experience can be further modified by adjusting everything from driver attributes to collision damage, to deliver a thrilling and true racing experience. All of these features together breed the realism that Assetto Corsa is known and celebrated for.